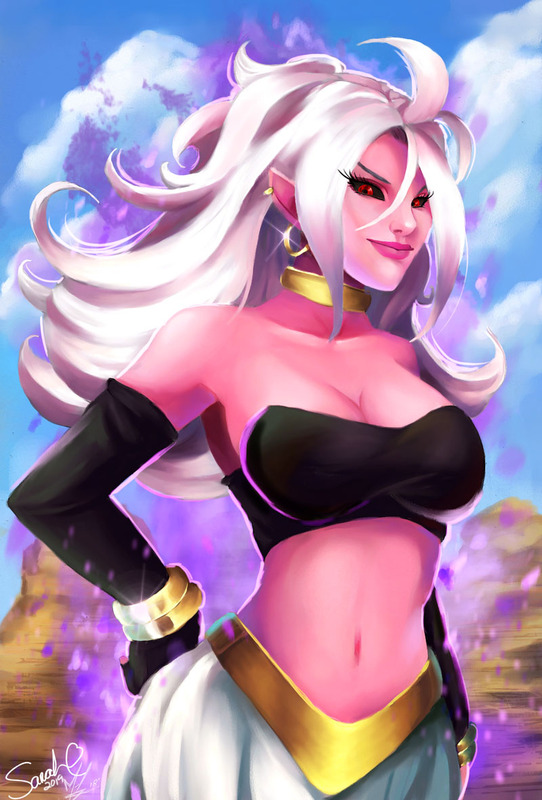 Android 21 from Dragon Ball FighterZ by ForthyFathoms looks so sassy there! Arc System Works is known for their awesome fighting games since Guilty Gear X and its updates became a success in the arcades, the Sega Dreamcast and the PlayStation 2. Today, they created around 10 different fighting game series already including some for big licenses like Hokuto No Ken, Persona and even DragonBall Z.
Dragon Ball Fighter Z looks awesome..is probably the best alternative to Marvel vs. Capcom ever, and got the “lovely” new character Android 21 who is also the main antagonist of the game. “I felt I needed to metaphorically ‘stretch my legs’ and do something very new or at least different for me, so boom. The pink, Majin/Android lady from Dragon Ball FighterZ (which is actually a f*cking awesome game) herself. Marc-F-Huizinga did such a sassy pose of her that I knew at one point, she was going to have to get painted by me. I put her into the canyons because that’s one of my favorite arenas/areas to battle in. I also wanted to show her power effect too, so I slammed some of that in there too.